Well, it’s #March Madness time again, and as much as I’d like to be out in the sunshine, it’s also great fun to be shooting the march to the state championships. 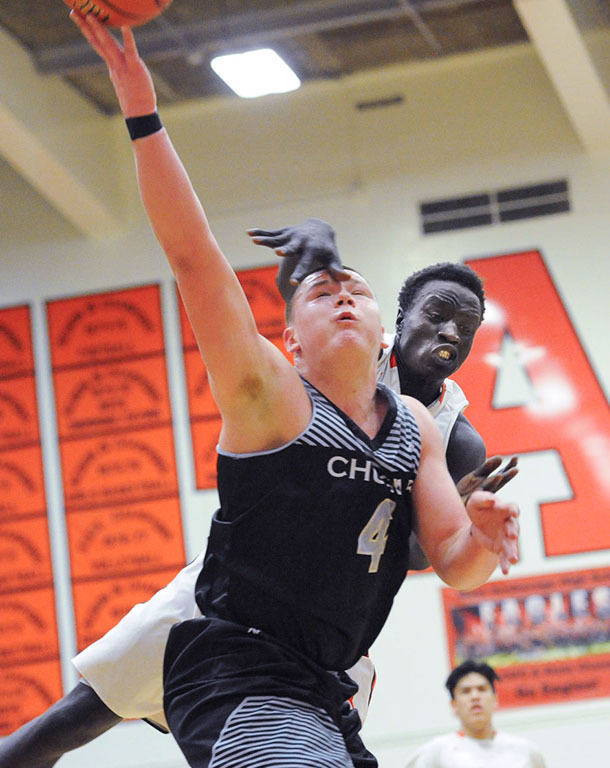 Here, Chugiak’s Derryk Snell survives a hard foul from West’s Ayual Dak during their 45-43 semi-final CIC playoff win over the Eagles Friday, March 9. They’ll be doing battle again later this week in the state playoffs.